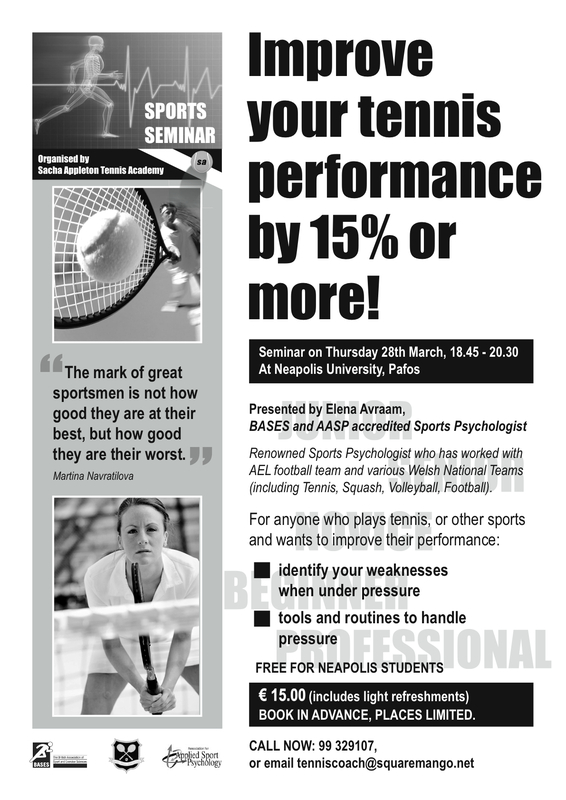 Most of you will be aware, but in case you are not, I have delayed the 2 Tennis Seminars that were scheduled for the 28th March due to the situation in Cyprus. I made the decision over a week before as I didn’t believe that it would be the first thing on people’s minds. 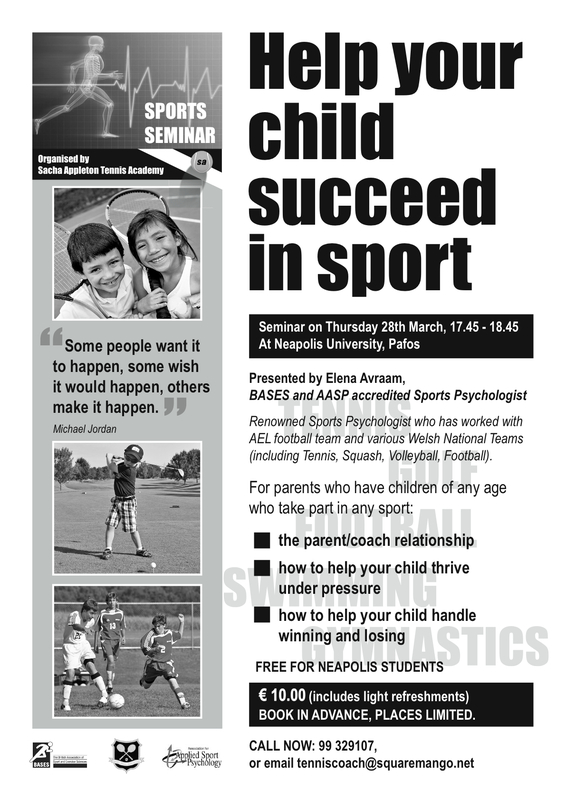 This entry was posted in Uncategorized and tagged Aphrodite Hills, Baghdatis, Children Tennis Coaching, Cyprus, Cyprus Tennis, Cyprus Tennis Coach, Cyprus Tennis Federation, Learning Tennis, Play Tennis in Cyprus, Sports Psychologist Cyprus, Sports Psychology Cyprus, Tennis, Tennis Academies in Cyprus, Tennis Academy, Tennis Centre, Tennis Club, Tennis Clubs in Cyprus, Tennis Clubs in Limassol, Tennis Clubs in Paphos, Tennis Coaching, Tennis Coaching Pafos, Tennis Courses, Tennis Equipment, Tennis Holiday, Tennis in Cyprus, Tennis in Limassol, Tennis in Pafos, Tennis in Paphos, Tennis Lessons Coral Bay, Tennis Lessons Cyprus, Tennis Lessons in Cyprus, Tennis Lessons Peyia, Tennis Lesssons Pafos, Tennis Peyia, Tennis Pissouri, Tennis School, Tennis Tournaments in Cyprus, Womens Tennis by Paphos Tennis Coach. Bookmark the permalink.